Hello beauties! Happy 2018. I wish every one of you a fantastic year. May this be the year you make your dreams come true. I have decided that no matter what, I’m going to make this a good year for myself. I’ll finish book two once and for all, even if I don’t publish it. I want to work on balance in my life as well. It can’t be all about writing all the time. So, I’ll be trying to find new hobbies too. I’m no longer in therapy. It just wasn’t working anymore, so I’ve decided that I’ll push on on my own. I can’t let my depression win. Certain days will be write offs, but there will be more good days than bad, and I look forward to enjoying the good days again. 2018 is the year I take my life back. As for hobbies, I’m a bit stumped. I’ve always wanted to learn to draw, so I’ve been tackling that. I’m terrible. But it is rather fun and soothing. I’ve been coloring too. It does calm me when I’m really stressed. So, what are your plans for 2018? Happy New Year and good to hear from you! How about adult coloring books to begin with? Balance is important. Take the time to find yours. Hey Alex. I got a few adult coloring books for Christmas so I'll definitely be using them. Thank you. I'll look into the Zentangles. Life is too short to spend it stressed. My pups keep me mello. I agree, which is why I really need to make the change. My pups are all 3 special needs now, so it can get stressful, but they are the reason I haven't completely given up yet. Thank you Hilary. Funds are a bit tight, but there are a lot of online resources. So on drawing... You know, you don't HAVE to draw like anyone else. Give it time. Develop a style that's all you, and enjoy the process. I have a cartoony style, and a half real, half cartoon style. So much fun. Thanks, Crystal. At the moment my cats are stick figures😁. But I'll keep at it. Like you said, I still have to figure out my own way of drawing. Thank you, Carol. Have a brilliant 2018 as well. Maybe you could try an online support group for people who are going through the same things that you are; I don't know of any off the top of my head but it seems like there's something for everyone on the Internet these days. And I think that drawing can be fun because you're creating something, and in a way you can tell a story, just in a visual way rather than in a literary way. Drawing is fun at this point. I'm not picky, if it helps, I'll do it 😀. I'm sort of weary of joining any groups at the moment, but perhaps in the future. Happy new year to you too! I hope all your dreams come true too. Love the goal to write a book without the worry of publishing. I enjoyed writing so much when I first started and had zero plans of trying to publish it. I love crafts and art too, but I'm also not artistic. Years ago, I bought a coloring book (it was Barbie and had a story) and I set out to color every page. It gave untalented me an artistic outlet. Thank you. The pressure of publishing does mess me up. Just writing for a change would be great. Yes. I have found that some colouring patterns are so complicated. I just need something simple. 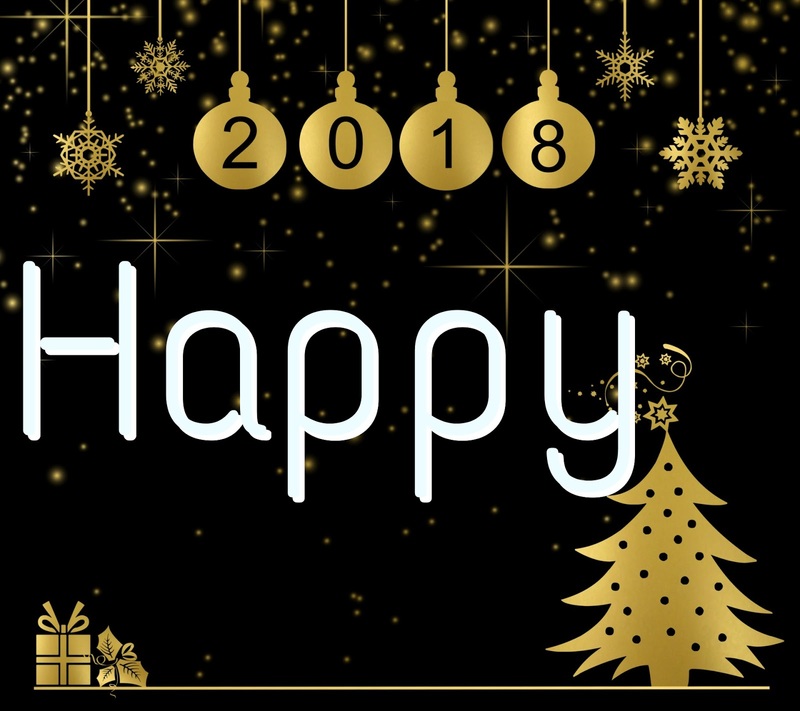 Happy New Year to you and wishing you all the best for 2018! Happy 2018, Murees. Sorry I'm so late. It's a long and boring story. I'm trying to get on track and also learning to be kind to myself. So far not bad. It's a daily struggle. Glad things are working out for you. 2018 is going to be a good year! Thank you. I loved hearing from you and I'm sorry things are tough. Being kind to yourself is so hard, so I take my hat off to you. It is a daily struggle and I can relate. Definitely, we're going to make 2018 good no matter what. Happy New Year to you, too! I hope it's a good one for you. Coloring is fun. I've found it to be a good stress-buster, too. I think you should pursue art classes. I bet you'd enjoy them. Thank you, Sherry. I'm looking into art classes. So far the coloring is paying off. I do needlepoint and crosstitch. It's a lot like coloring, so it does a lot to soothe me. 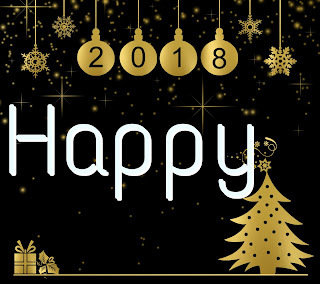 I hope you have an amazing 2018! Thank you, Misha. I hope it's a great year for you too. Draw away! With all the youtube tutorials out there, you can pretty much learn anything, eh? I do music for my other go to. Vocal performance, leading a choir, arranging songs, and orchestral composition. Diversify and thrive, eh? Thank you, Crystal. Youtube is brilliant. I can always take up guitar again.